Burlington High School Help Desk Students and Teachers representing the school district and community at The International Society for Technology in Education in Chicago. Thank you. This entry was posted in Uncategorized on June 25, 2018 by burlingtonps. Burlington. Kings has hosted the graduates the last four years and once again it was a huge success. Kings General Manager Michael Belley and his staff did an amazing job. We had 190 graduating seniors in attendance and many wore their 2018 Red Devil T-Shirt that they received at post-grad party registration. Each year BHS art teacher, Keith Mistler has his senior students create and submit potential logos for the graduation T-Shirt. Only one logo is chosen. This year, student Kosta Stamides, designed the T-Shirt logo. The Burlington Chamber of Commerce along with the following T-Shirt donors make it possible to purchase and print up a T-Shirt for every graduating senior. An amazing keepsake! Students were able to check in to Kings between 10:00 pm – 11:00 pm Sunday night. When they arrived DJ Greg Gervais from Curtis Knight Entertainment already had the tunes cranking. DJ Greg did an amazing job and many of the graduates were still dancing at 5 am. They were also able to enjoy time with classmates and friends as they bowled, played pool and video games. At 11:30 pm Hypnotist Frank Santos Jr. began his show. This is always a highlight of the night. Frank does a phenomenal job of hypnotizing a group, as their classmates watch and laugh in hysterics. A large photo booth with a wide array of props was provided by Curtis Knight Entertainment. Many graduates enjoyed the photo booth throughout the entire night. Additional entertainment was provided by FUN Enterprises, Inc. This included Two Tarot Card Readers, Two Airbrush Tattoo Artists and an amazing Roving Magician. Graduates lined up throughout the night to enjoy all of this entertainment. Sullivan, Assistant Principals Deb Deacon, and Rick Sheehan. In addition, the Class Advisors, Mrs. DiCroce and Mr. Regan, were in attendance, as well as dozens and dozens of parent volunteers throughout the night. donated trays of Mac and Cheese, Chips and Dip, as well Caesar Salad. Pizzas were donated by Pizza Works, Flatbread, Burlington House of Pizza and Dominoes. Newtowne Grille donated Loaded Tater Tots, Not Your Average Joe’s donated Bread and Oil and Papa Gino’s donated Cheesy Bread. Coffee, Donuts, and Munchkins were donated by Dunkin Donuts. With Gift cards donated by Wegmans, Shaw’s and Market Basket we were able to buy ice cream, fruit, muffins, juice, and milk. Desserts were donated by LaCascia’s and Roma’s Bakery. Throughout the night we raffled off gift cards, as well as donations from Xtend Barre and Roots Yoga. 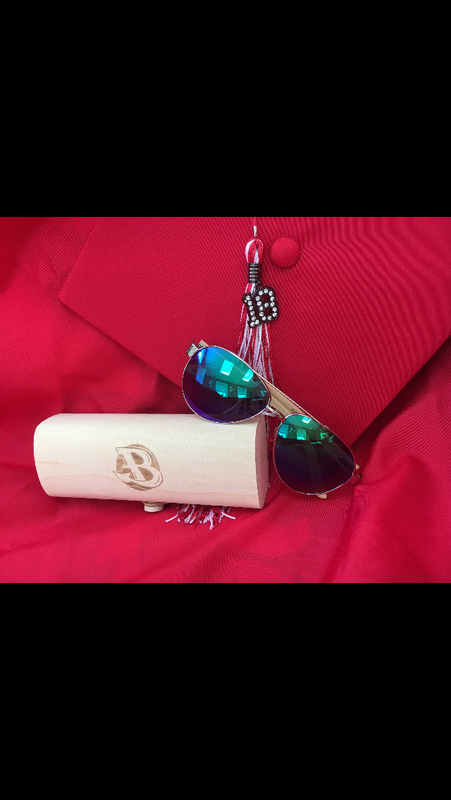 As each senior left 5:00 am, they were given a gift bag which included a pair of sunglasses that were created by three of the graduating seniors; Coleman Began, Dylan MacKinnon, and Jeff Russo. The name of their company is Against the Grain. The sunglasses were packaged in a unique wooden case that displayed the Burlington High logo. The gift bags also included water bottles donated by the Burlington Education Foundation, accessories from CrossFit Exclamation, as well as coupons for free coffee at True North, free classes to Xtend Barre and discounts at Bed Bath and Beyond. W. Gochis Insurance Agency, Inc.
Riemer &amp; Braunstein Robert C. Buckley, Esq. This entry was posted in Uncategorized on June 14, 2018 by burlingtonps.